The Central Serengeti, lying at the heart of this spectacular national park, is the most popular region in the reserve for its abundant wildlife, large numbers of big cats and quintessential Serengeti landscapes of acacia-studded savanna. Resident wildlife makes this part of the Serengeti a fantastic year-round destination, but the months of April to June and October to December, when the herds of the Great Migration pass through the area, are when it’s at its peak. The Seronera River Valley, located in the south-central region of the park, is one of the most popular areas in the entire reserve. Known as the Big Cat Capital of Africa, the Seronera is rich in lion, leopard and cheetah – and people often spot all three in one day of game drives. Look for leopard around the Seronera River, which is home to one of Africa’s densest populations of the big cats, while lions can often be seen on the kopjes (rocky outcrops). The Serengeti Plains – the open savanna south of the Seronera River – are prime cheetah territory. Other animals to spot in the area’s varied habitats of rivers, swamps, kopjes and grasslands include elephant, hippos and crocodiles in the rivers, buffaloes, impala, topi, jackals and bat-eared foxes. While the year-round supply of water from the Seronera River means that the area is excellent for wildlife spotting throughout the year, April to June is the peak season for game viewing in the Seronera, as this is when the plains are full of migrating wildebeest, zebra and gazelle as they’re making their way up north. The central location of the Seronera means that it’s one of the best places to see the Great Migration in action, as the animals are moving through the area for months. 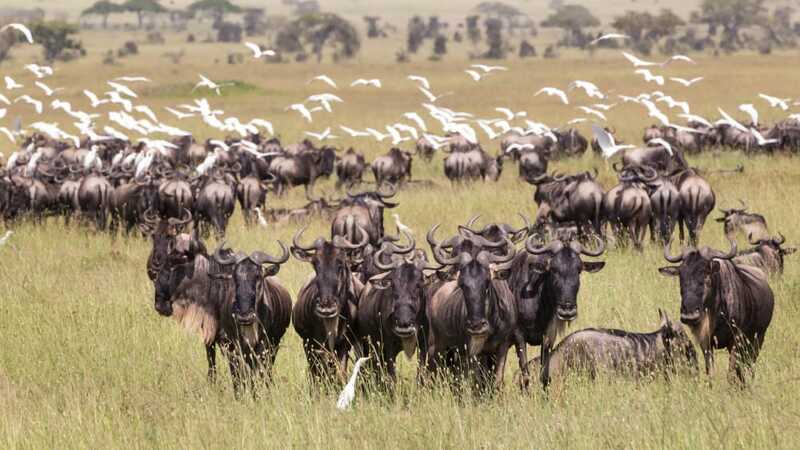 The Central Serengeti is a fantastic area to see the Great Migration in action: the herds move through this section of the park from April to June as they travel northwards, and then they come back again heading south from October to December. Some of the best locations in the Central Serengeti to see the herds include the Seronera Valley and Seronera River, Moru Kopjes, Simba Kopje and Maasai Kopjes. If you’re after Big Cats, the Seronera area in the Central Serengeti is your best bet: this region is hailed as the best place to see predators – particularly lion, leopard and cheetah – on thrilling hunts. The Central Serengeti is studded with many rocky granite outcrops, known as kopjes, which are where you should look out for lions and cheetahs. There are also some particular kopje highlights, such the Simba Kopje, or Simba Rocks – the place that inspired Pride Rock in the Disney film The Lion King. The film link is not the only reason to visit this pile of granite boulders however – it’s great spot to see lions, which are often lying on the rocks under the sun. At Moru Kopjes, south of the Seronera River, you can try and search for some of the last remaining black rhinos in the entire reserve – as well as see some old rock art paintings. 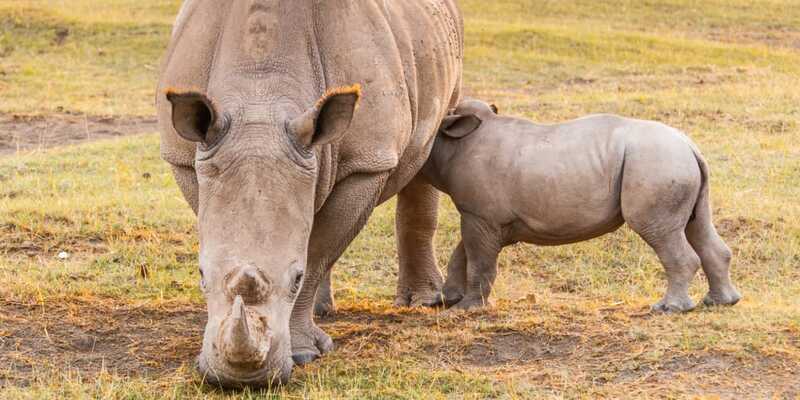 Then there’s a visitor’s centre for the Serengeti Rhino Project, where you can learn about the important rhino conservation work that’s being done to protect this highly endangered species. 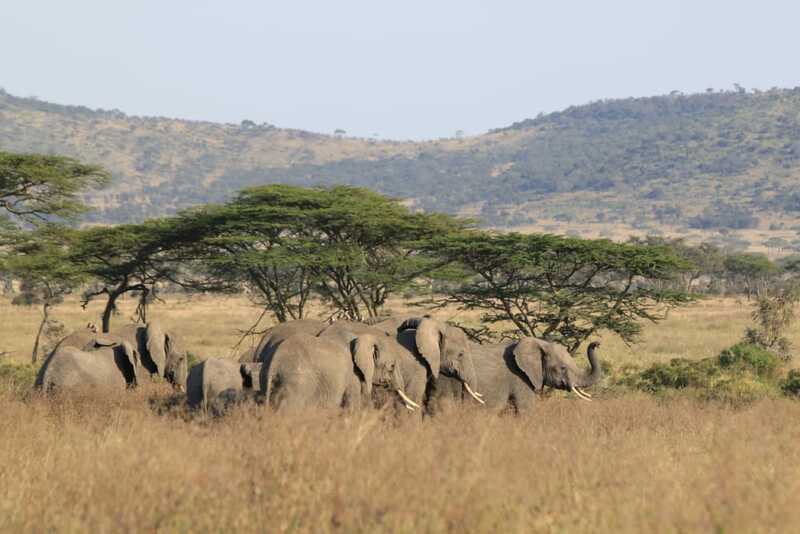 Moru Kopjes is also one of the very few areas of the park where you can do multi-day walking safaris. Hot air ballooning is a must-do when you’re visiting the Serengeti. Floating gently above the grassy plains in the golden light of dawn, spotting animals from your suspended basket is an experience you’ll never forget. If you’re staying in the Central Serengeti, you can get a transfer to and from your lodge or camp to the hot air ballooning launch site near the Masai Kopjes. A champagne breakfast once you land is the cherry on top of an amazing activity. Many lodges and camps offer a visit to a Maasai village so that you can learn more about the famous semi-nomadic pastoralist tribe who have long lived in the area that is now the Serengeti and the Masai Mara national parks. At the Maasai village you’ll be treated to members of the village singing and dancing, with the male warriors doing a traditional jumping dance. You’ll also be able to buy beautiful jewellery and handmade crafts, which make great souvenirs – and also support the local economy. The Seronera region, as the most popular area of the park, has a wealth of lodging options ranging from budget-friendly through to mid-range and up to all-out luxury, with some of the park’s best high-end properties. Budget travellers can camp under the stars at the rustic Seronera Campsite, while travellers looking for mid-range options will find affordable lodges and camps – many of which are family friendly and offer the full range of amenities such as WiFi. You’re spoiled for choice when it comes to luxury camps: there are mobile camps which move with the Great Migration herds (and don’t scrimp on comfort, with proper beds, hot bucket showers and private butlers), beautifully designed lodges with private infinity pools and activities such as guided meditation sessions in the bush, bush picnics and stargazing. The park headquarters are also based in Seronera (close to the airstrip), where there’s a visitor information centre, a curio shop and a café. The Seronera gets particularly busy during the most popular months of June and July and October to April and sightings can be overpopulated. If escaping the crowds is your priority and you’re travelling in these months, consider booking your lodging in another part of the park. Seronera is accessible by road on a six-hour drive from both Arusha and Mwanza, but the easiest option to access this part of the park is to fly into the Seronera airstrip and stay at a lodge that caters for fly-in travellers: they’ll come and pick you up from the airstrip and provide game drives in their vehicles. 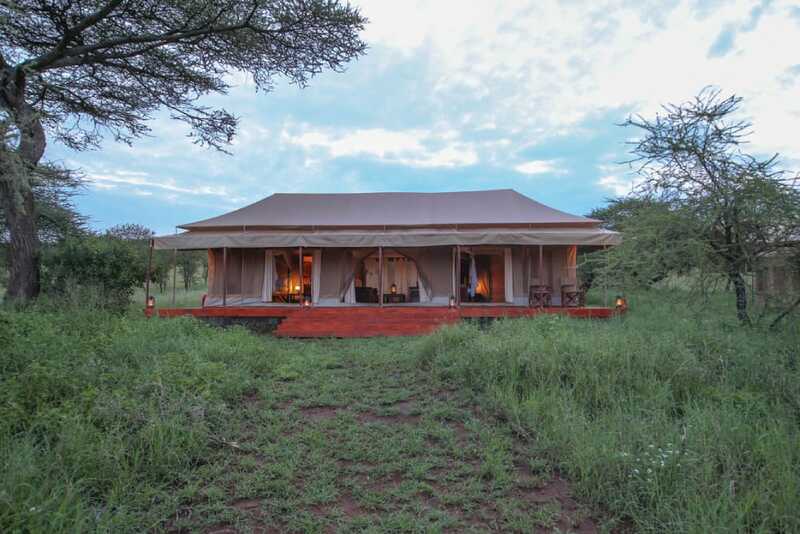 Some of the lodges and camps offer short walks in the bush of two to four hours with Maasai guides, who’ll teach you about the smaller creatures and the plants that you miss on game drives. If walking is something you’d like to experience, do some research on lodges that offer this activity.